India reported 20 swine flu (H1N1 virus) deaths on Sunday, taking the death toll to 832 even as the number of cases crossed 14,000. On Saturday, 38 deaths were reported, the highest number of swine flu deaths in a single day this year. In 2014, India had 937 swine flu cases and 218 deaths. This year, Rajasthan is the worst hit, with more than 4,000 cases and 200 deaths have been reported. Delhi and Gujarat have had more than 2,000 cases each in less than two months. The Drug Controller General of India G N Singh has directed all states to set up a ‘Swine flu drugs availability monitoring cell’ with a designated officer to monitor there are no drug and vaccine shortages even as some states like Kashmir reported vaccine shortages. All chemists have also been asked to prominently display availability of medicines. Experts maintain that H1N1 virus is no more deadlier than last year cases and deaths are being reported simply because more people getting tested and diagnosed. Most deaths are among people over 40 years. While infection appears to be waning in Telangana, new states such as Jammu and Kashmir are reporting cases. With one more H1N1 virus infected patient dying on Sunday night, the total number of swine flu deaths in Jammu and Kashmir rose to six on Monday while the number of infected people went up to 120. "One more H1N1 infected patient died yesterday (Sunday)," Parvaiz Koul, pulmonary disease specialist at the super-specialty Sher-e-Kashmir Institute of Medical Sciences, Srinagar, where eight people are currently being treated. Uttar Pradesh, which has reported 280 cases and six deaths since January 1, has enough medicines in stock, Parliamentary Affairs Minister Azam Khan informed the State Assembly on Monday. State capital Lucknow is the worst hit, reporting 228 of the 280 cases from across the state. "There is no need to panic due to swine flu. Those who are saying hundreds have died due to disease are wrong. We have made all the arrangements to deal with it and have sufficient amount of medicines,” said Khan. The minister said this after the swine flu issue was raised on the assembly floor by BJP suresh Suresh Kumar Khanna ,as the House met, who demanded a statement from the government on rising cases of the virus in the state. Five persons have succumbed to swine flu in West Bengal, with 67 testing positive for it, state Minister for Health Chandrima Bhattacharya told the state Assembly today. The minister said there is no shortage of medicines and testing kits at hospitals to tackle the spread of the H1N1 virus. The health department is taking all necessary steps to control the spread of the disease and trying to spread awareness, she said, adding that the virus is not being spread through swine but through the air. 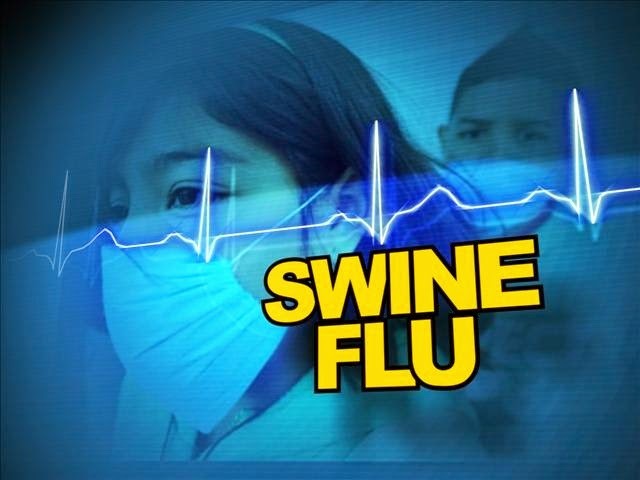 Mizoram has started swine-flu screening and testing all passengers arriving at Lengpui Airport after a woman arriving from Delhi tested positive on February 13. All passengers arriving with cough and fever are being tested. Mizoram has had one swine flu case and no deaths. The state Integrated Disease Surveillance Programme's Nodal Officer Pachuau Lalmalsawma said the screening was being conducted after obtaining permission from the Aviation department. The IDSP officials will also start the screening people arriving in the state at the Mizoram-Assam border Vairengte town soon. Am isolation ward to treat infection has been created at the Referral Hospital at Falkawn village near Aizawl and a special laboratory for testing has been set up at the Aizawl Civil Hospital.